During World War 1 a French woman (Vivien Leigh) who runs an expensive dress shop in neutral Sweden is recruited to pass secrets between Sweden and England as she travels between the two on business. She meets an aristocratic German (Conrad Veidt), who she develops feeling for. She is asked to get close to him by British intelligence, whilst he has been sent to Sweden to find the source of the intelligence leaks. 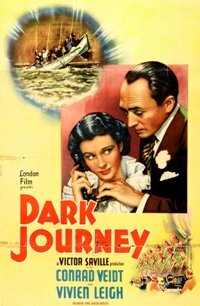 This is a stylish British espionage thriller that is made by the performance of Vivien Leigh. She has beauty and elegance, but also an ability to to portray a woman who is strong, confident and independent, as well as vulnerable and patriotic.